Production won't begin until late next year. While we’ve known for some time now that , Mini has confirmed that it won’t be until November 2019, meaning it won’t likely hit roads until well into 2020. 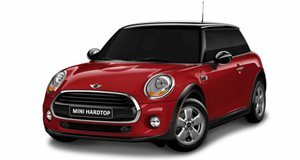 In an interview with the Model 3 Owners Club, Debra Tovell, Product Manager for BMW and Mini Canada stated about the : “This model is slated for actual production as a fully electric Mini in November of 2019” at the Oxford, England, plant. 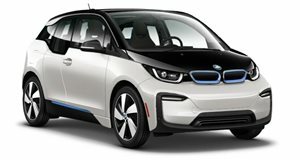 Just as BMW learned its lessons from the original 2008 Mini-E for the development of the i3, the i3 will help BMW build a better electric Mini. Late last year Mini boss Peter Schwarzenbauer stated to in an interview: “It carries a lot over from the i3. We have learned a lot about electromobility, which is why we say that we’re entering the second phase. Everything learned from i3 will be applied to Mini’s EVs.” BMW already has all the necessary components of an electric drivetrain in the i3, so what’s the holdup? No doubt the i3’s highly integrated body and battery (the battery actually provides structural support for the chassis) would be a challenge to simply stuff in the Mini’s engine bay and connect to the front wheels, but is that enough reason for it to take this long? Well, considering the BMW is committed to making every brand and vehicle line compatible with plug-in hybrid and all-electric powertrains, and considering the current F55/F56 generation platform has been in production since 2013, the most logical course of action would be for the Electric Mini to arrive on an all-new Mini platform that can do more than handle a plug-in hybrid on its larger Countryman platform. Whether it's an all-new platform or the current platform re-engineered to accommodate the electric internals, it’s no simple plug ‘n play installation so prepare yourselves for a longer wait than expected.